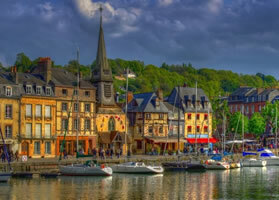 Combine a visit to one of the world’s most beautiful cities with quaint villages along the Seine, the picturesque and historic Normandy region, French cuisine and the company of the women of Olivia and you have an incredible trip. What could possibly be better? 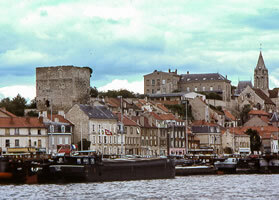 The Seine rises just northwest of Dijon and flows in northwesterly through Paris before emptying into the English Channel at Le Havre. 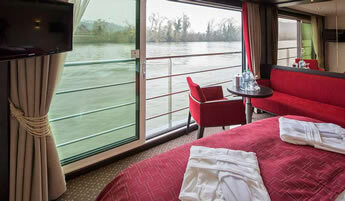 It's one of Europe's great historic rivers and since the early Middle Ages has been considered the river of Paris. 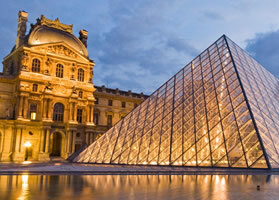 Excited about the romance of Paris? 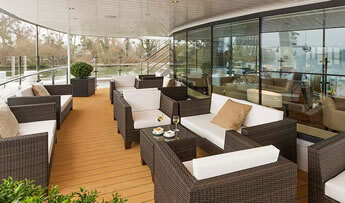 A Seine river cruise through France is ideal for art, history and wine lovers alike. 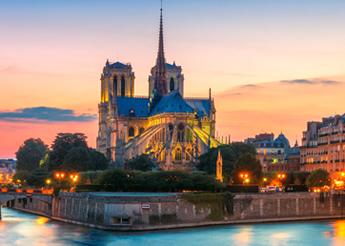 In addition to seeing architectural marvels like the Louvre, the Eiffel Tower and Notre Dame cathedral, the Seine river has 37 picturesque bridges in Paris alone! 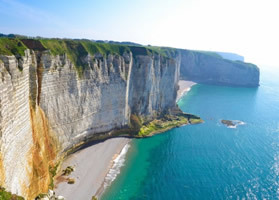 Take a Paris river cruise to Normandy's landing beaches. 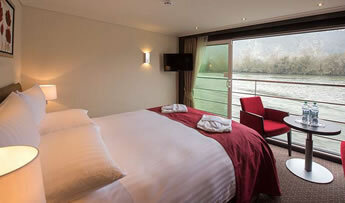 This fabulous lesbian river cruise combines time in France’s unparalleled capital of Paris with beautiful scenery along the Seine River and the picturesque and historical region of Normandy. 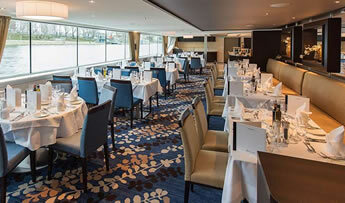 The Avalon Tapestry II is a true haven on the river - two full decks of Panorama Suites with Wall-to-Wall Panoramic Windows that transform the living space into a unique Open-Air Balcony. With 200 square feet, Panorama Suites are more than 30% larger than the industry standard, giving you the rare opportunity to wake each morning to enchanting scenery and fresh breezes. Onboard amenities and services include complimentary computer use in public areas and free Wi-Fi access, a Fitness Center with state-of-the-art equipment, a hair salon, elevator, and a spacious Sky Deck with shade system, whirlpool, deck games, and the delightful Sky Bistro for al-fresco lunches of light grill fare. Bienvenue en France! 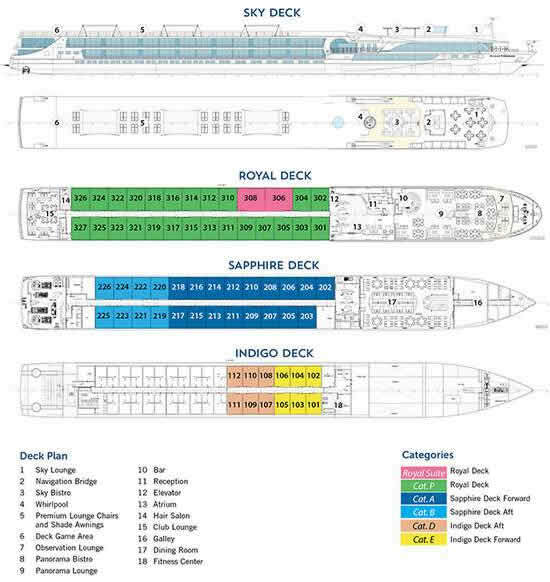 Your Suite Ship is ready for boarding. Flights into Paris must arrive by 2:30 pm. 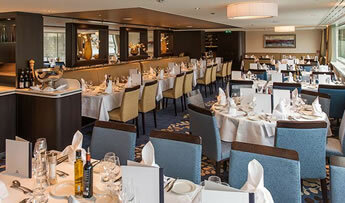 Guests must be on board ship by 5 pm. 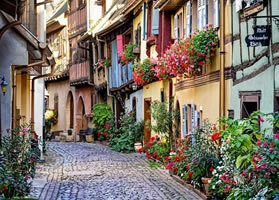 Your day is free to explore the world’s most romantic city before embarking on your cruise on the Seine. Get acquainted with the City of Lights today with some shopping, strolling, or with a croissant and café au lait to watch the world go by amid the Parisian cityscape. 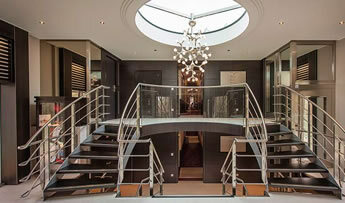 Stroll through Paris on your own, or linger over wine in a literary café on the Left Bank. 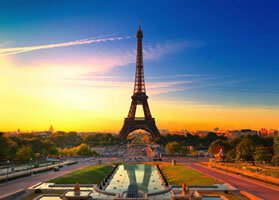 Today your included tours include a choice of a Guided Walking Tour through the Heart of Paris to see the historic Île St. Louis, Île de la Cité, and Notre Dame Cathedral or join a guided city tour that shows you the iconic sites of Paris, such as the Louvre Museum, the Arc de Triomphe, the Eiffel Tower, Opéra Garnier, and the famous Champs-Élysées. For our active women, go for an included early Morning Run with your local Guide and join an included guided tour of Auvers-sur-Oise, and walk in the footsteps of Vincent van Gogh, who lived, worked, and is buried here. See the landscapes and village scenes captured in his paintings OR take a guided tour of the opulent Château de Malmaison—home of Napoléon Bonaparte and his wife Josephine. This morning you have a choice to take an included guided tour of Giverny, home and inspiration of the master impressionist painter Claude Monet. Walk the grounds and see Monet’s charming residence, and the flower and water gardens captured in his masterpieces OR join an included guided visit to Bizy Castle— “Normandy’s Versailles”—with its magnificent courtyard, water garden, and stables.While sailing, enjoy a traditional French luncheon of authentic French crêpes, followed by a pastry demonstration. This afternoon you have a choice of an included guided walking tour of Les Andelys— one of France’s most picturesque spots on the Seine. Visit the Saint Sauveur’s Church of Le Petit Andely. For a more active tour, an included guided hike up to the castle ruins of Château Gaillard—historic home of King Richard the Lionheart and a masterpiece of medieval military architecture. Today we take in Normandy. You have three included tour options today. 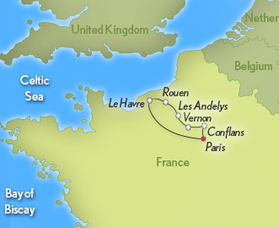 Choose from of a guided visit to the WWII landing beaches of Normandy. 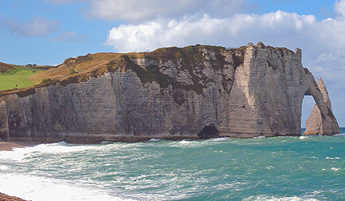 Take a full-day tour of significant U.S. sites, including Omaha Beach, the Pointe du Hoc monument, and the American Cemetery OR take a full-day guided tour of the British and Canadian commemorative sites, including the British cemetery, Pegasus Memorial, the seaside town of Arromanches, the Juno Beach Center, and the Bény-sur-Mer Canadian War Cemetery OR join “A Taste of Normandy” guided tour for an in-depth look at this rich agricultural region. See the famous Bayeux Tapestry, visit the beautiful village of Beuvron en Auge and taste Calvados apple brandy at a local distillery. 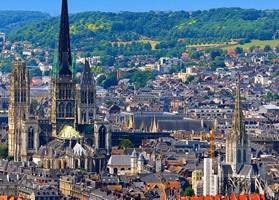 Take an included guided walking tour of Rouen—home of the martyred Saint Joan of Arc—and see the medieval quarter with its 16th-century Astronomical Clock, and Notre-Dame Cathedral. For our more active guests, join your local guide for an included morning walk. Take an included Guided Tour of Le Havre and discover the modern architecture of its city center, rebuilt by Auguste Perret and part of the World Heritage of Humanity. 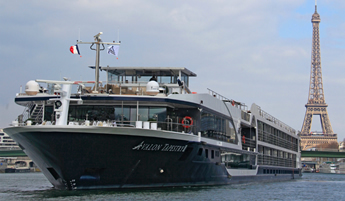 Bid farewell to your ship’s crew and take a transfer to Paris (Approx. 2 hours). 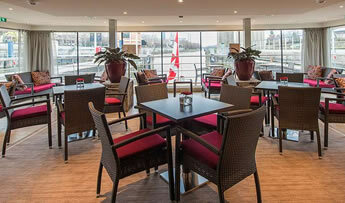 Take time to linger in a sidewalk café, shop for mementos, or take photographs of the city’s picturesque bridges. Overnight at hotel in Paris. 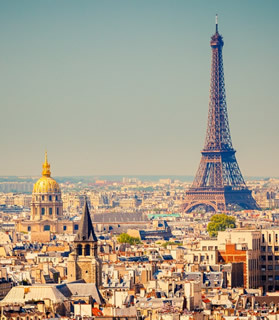 We will be offering a 1-night and 2-night pre-trip extension in Paris August 5-6 or August 4-6, 2019. More information will be available approximately 11 months before the trip.